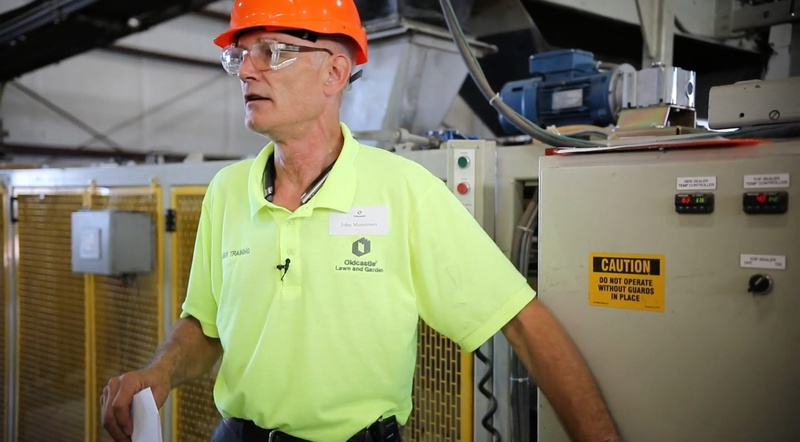 Awhile back, our construction safety experts Frick and Frack taught us about machine guarding in the fourth episode of the Fundamentals for Fatality Elimination safety series. Guarding is incredibly essential to a quality safety program, and machine guarding complacency leads to thousands of injuries each year. Whether a person is crushed, drawn into equipment, or struck by moving parts, it's one of the most highly-cited violations for both OSHA and MSHA. Because of the importance of this in the building materials sector, we're taking a deeper look at the topic with additional information about machine guarding in the construction industry. Have a system for regularly checking and inspecting guarding. If it's not documented, it didn't occur. Confirm that points of hazard – places where employees are working right next to moving machinery – are adequately guarded. Guards should be well-constructed, well-maintained, and be painted a bright color to indicate the hazard behind the guard. Adequate machine guarding saves lives (and limbs!). Let's learn more. The point of operation – This is the point where work such as cutting or shaping is performed on the material. Power transmission apparatus – This includes components such as flywheels, belts, spindles, chains, gears, and pulleys which transmit energy to the part of the machine performing the work. Other moving parts – This encompasses any parts of the machine that move while the machine is working, including rotating or reciprocating moving parts or feed mechanisms. Hazards that should be guarded included in-running nip points, rotating equipment, flying chips or sparks, belts or gears, and parts that impact or shear. Learn more about the hazards these specific motions and actions present to workers. OSHA and MSHA each have their own minimum general requirements that must be in place to protect workers from machine hazards and to meet compliance requirements. As always, follow the requirements of your governing agency, and keep in mind the ten safety measures below when working with moving machinery that has safety guards. Know your machine –You must be trained and able to identify and describe hazards associated with the equipment you operate and under what circumstances the guards can be safely removed and replaced. Prevent contact – If your hands, arms, or any other body part can come in contact with a moving part such as a pulley or drive shaft, there is a serious potential for amputation or death. Safeguards must eliminate the possibility of your body touching hazardous moving parts so you don’t get pinched, pulled, or worse. Watch for tampering – Has the guard or barrier been removed, or does it look like it’s been tampered with? Are screws that hold it to a frame missing? A safeguard that can easily be made ineffective is no safeguard at all. Your supervisor should immediately correct any deficiency. Check for durability – Guards and safety devices should have adequate strength and be made of durable material. If it looks flimsy or rusted, if its rigidity has been compromised, or if it’s not firmly secured to the machine with a substantial frame, don’t operate the machine. Protect from falling objects – Whether it’s a rock, screw, or a small tool, any object that can fit through a guard or can fall directly into a cycling machine can become a projectile. The safeguard should ensure that no objects can fall into moving parts. Create no new hazards – A safeguard defeats its own purpose if it creates a hazard of its own such as a shear point, a jagged edge, or an unfinished surface. For example, while expanded metal can work as a guard for certain types of machinery, it often has sharp edges that can cause lacerations. The guard material should be rolled or bolted in such a way to eliminate sharp edges. Trust your gut – If you feel like the guard on your machine is slowing you down, there might be a larger issue at hand. Whether you are using a pullback device that attaches to your hands or a two-hand control, safeguards should never impede on productivity or make you feel uncomfortable. Workers will more than likely override, alter, or remove the safeguard if that is the case. Talk with your supervisor if there is a problem. Allow safe lubrication – Repairs and maintenance, including lubrication, should be done without removing the safeguards, if possible. Use oil reservoirs outside of the guard to reduce the need for the maintenance worker to enter the hazardous area. Don’t forget to follow your existing lockout/tagout procedures for repair if required. Wear appropriate PPE – While working around moving machinery, wear personal protective equipment that is appropriate for particular hazards. For example, loose-fitting clothing may become entangled in rotating spindles or a protective glove may become caught. These risks require alertness and continued attentiveness whenever they are used. Look to the future – Plant management should be open to new guarding technologies that can help with redundancies, testing, and decreasing injuries. Examples might include lasers that monitor perimeters, infrared light curtain systems, and pressure plates or mats. 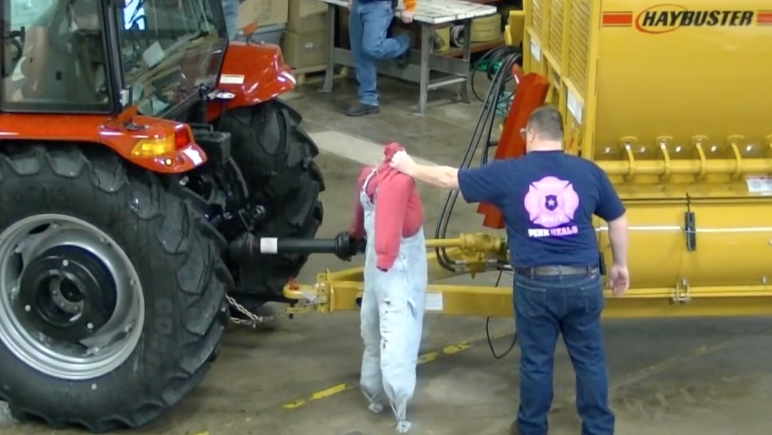 Management, supervisors, and workers share responsibility when there is moving machinery. Learn more about changing your company’s safety culture and avoiding accidents.